We print diaries of all shapes, sizes and colours. 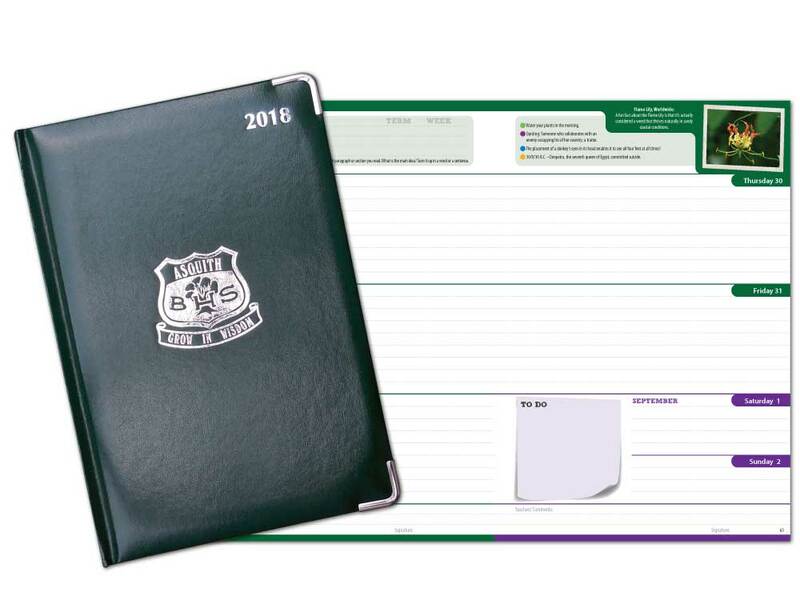 Whether you are after a spiral diary, book bound diary or a full custom diary, if you can think it we can print it. 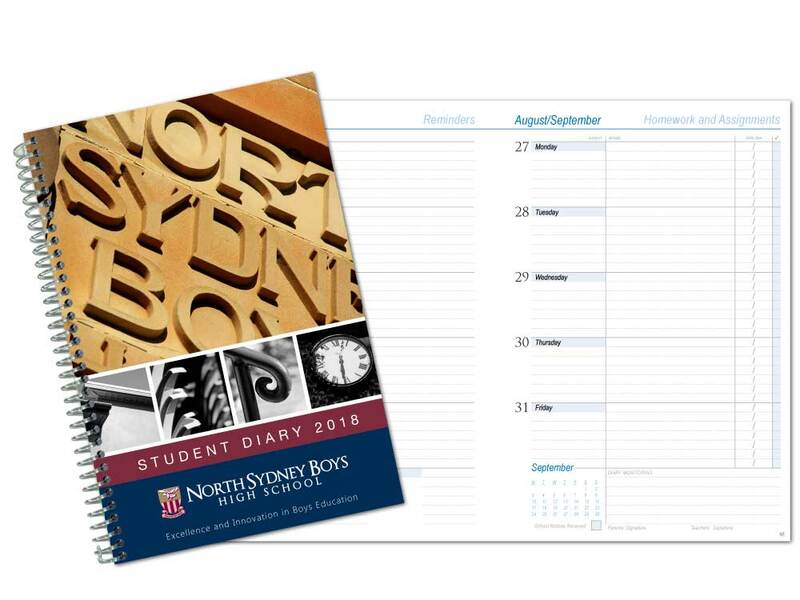 Not only do we print diaries, but we also design them. We control the entire production process and ensure quality from start to finish. 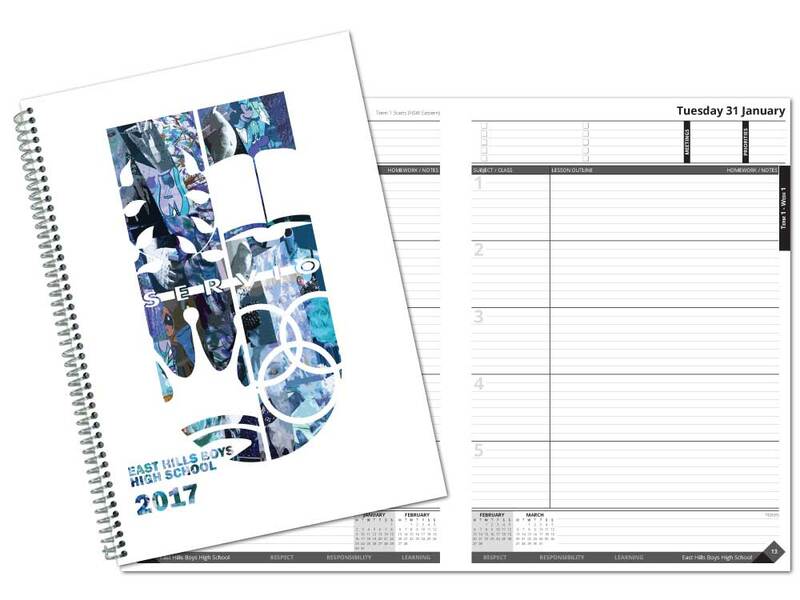 We can efficiently assist you with making sure the diary you want, is the diary you get at a competitive price and on time! 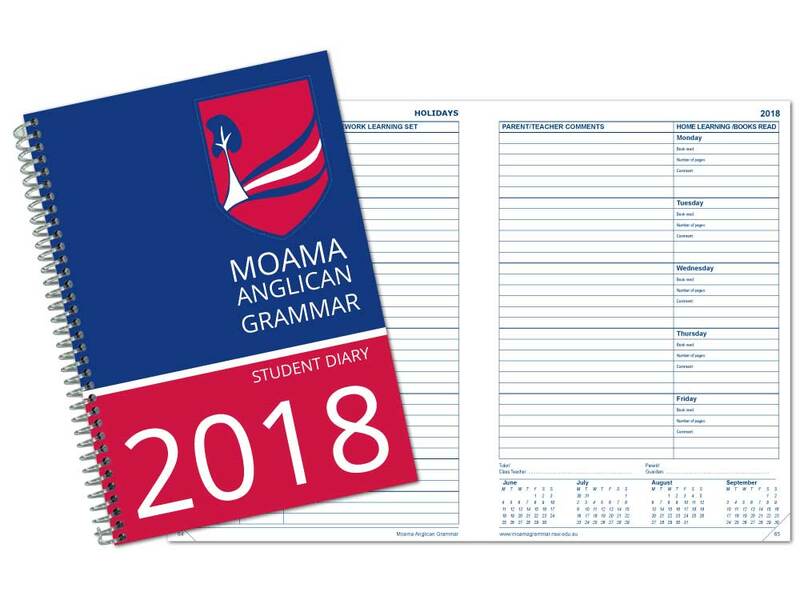 There isn’t much standard about these diaries apart from the main diary layout. 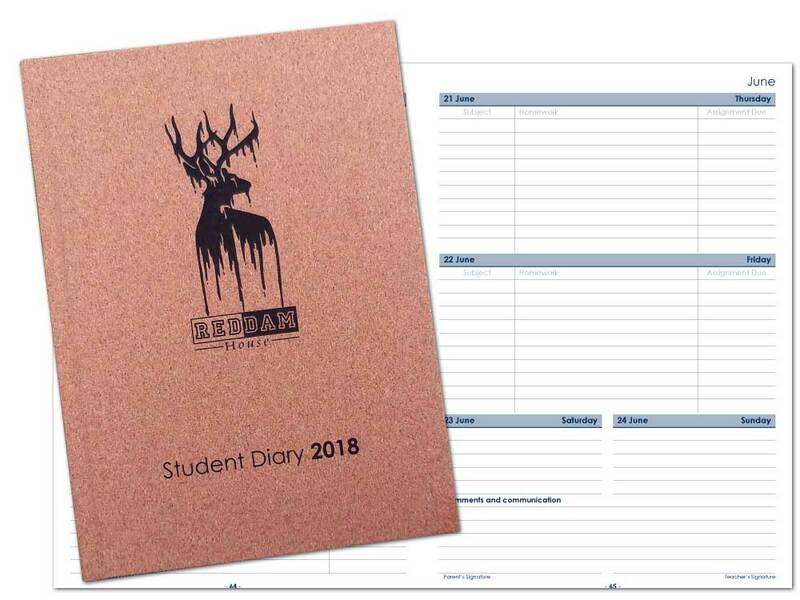 Each diary is personalised with your artwork, both on the cover and information pages. 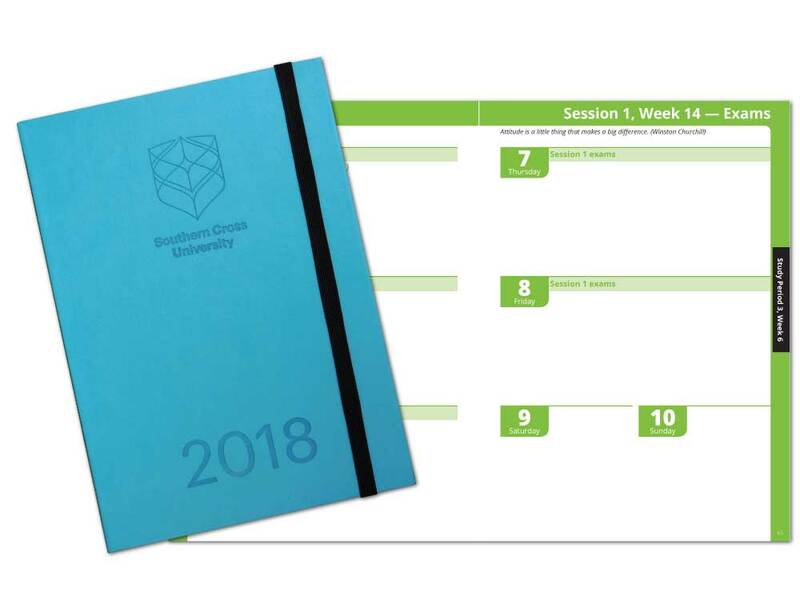 These diaries are cost effective, high quality and definitely worth looking at! 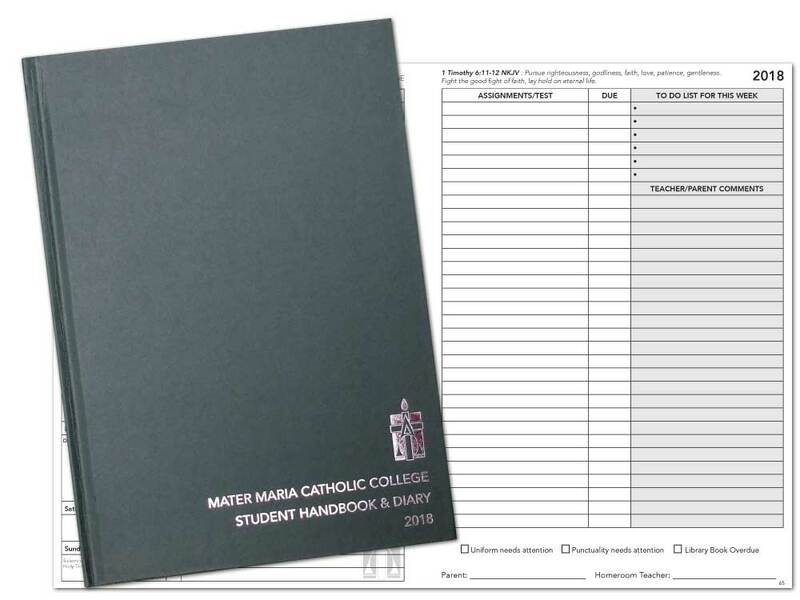 If you are after a special diary layout or want your institution’s name on each page then this is the diary for you. 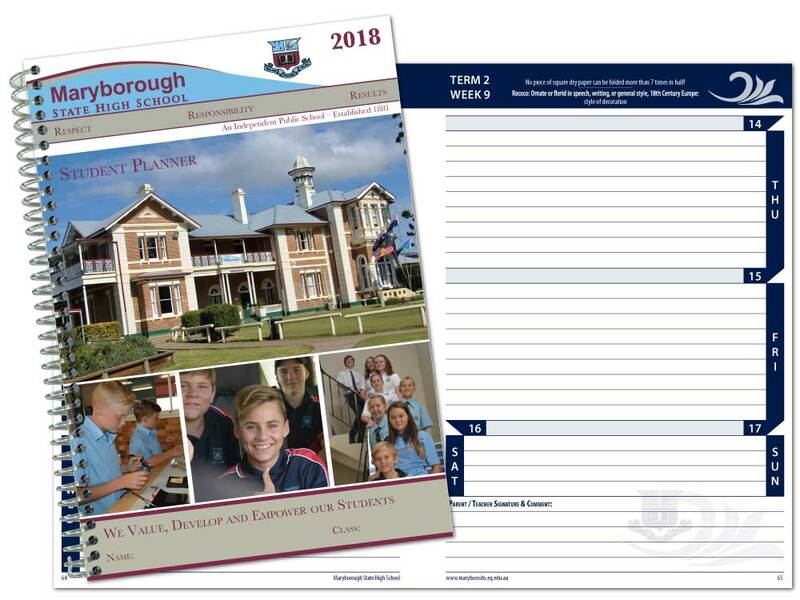 Usually these diaries are most cost effective when ordering 500 or more, but we can do small quantity print runs. 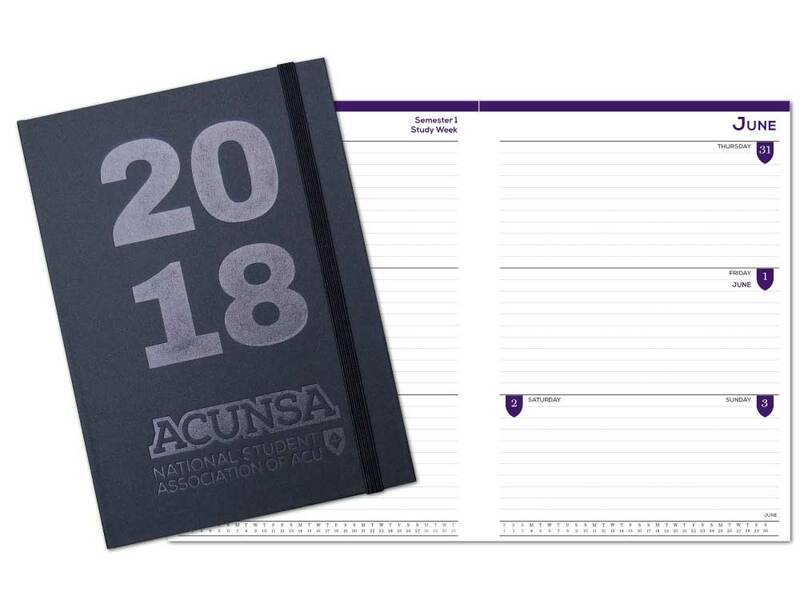 Full custom diaries aren’t as expensive as you think, so why not get a quote today! 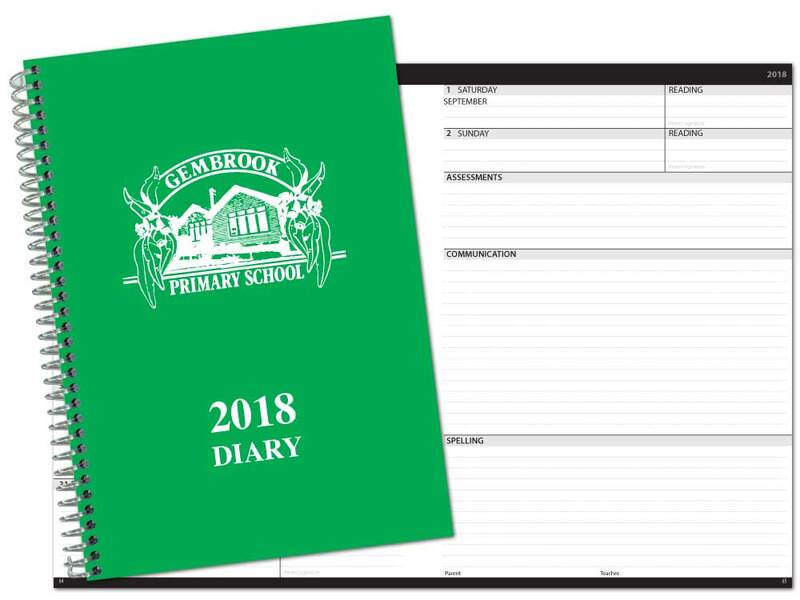 In addition to printing student diaries we also print fully customised staff diaries for teachers. 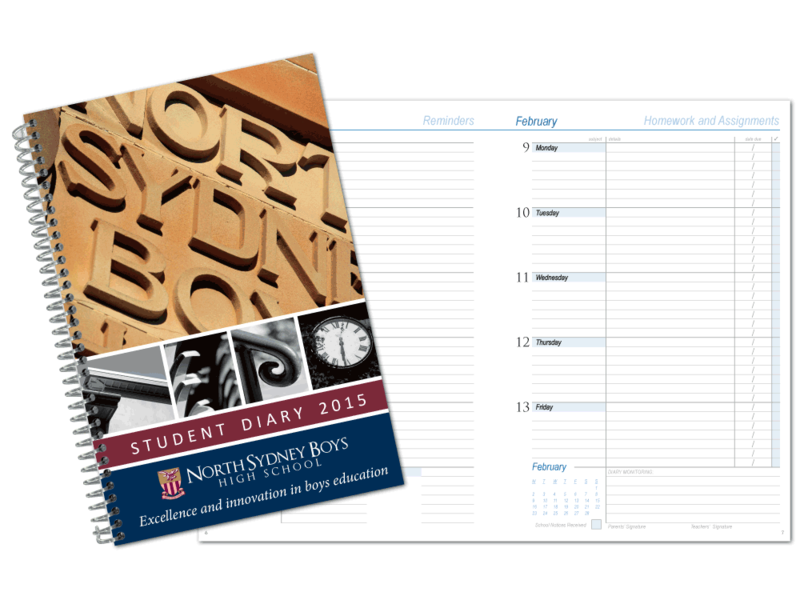 Each diary is specifically tailored to your school with your own content and information on every single page. 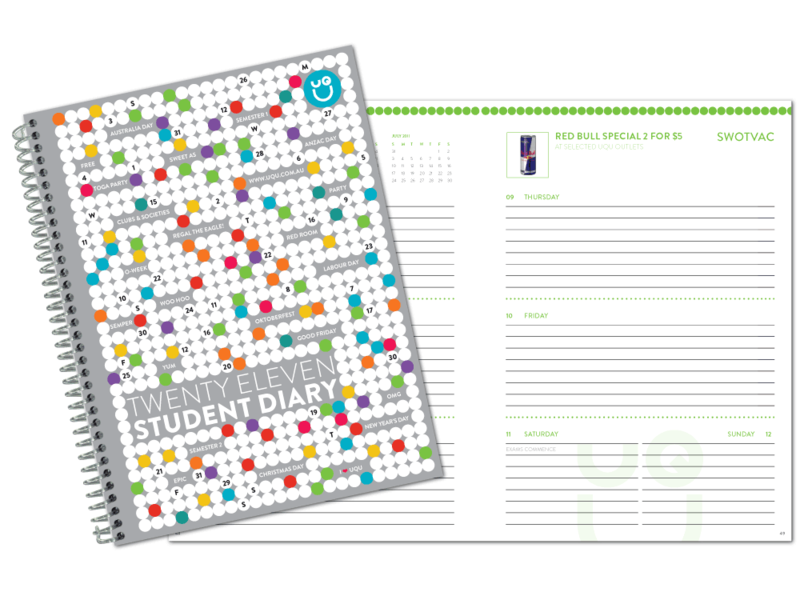 The daily diary layout can be that of your choosing such as week to view or daily. The minimum order is 10 diaries. For more information and images about our range refer to the links on this page or feel free to chat with us at any time. 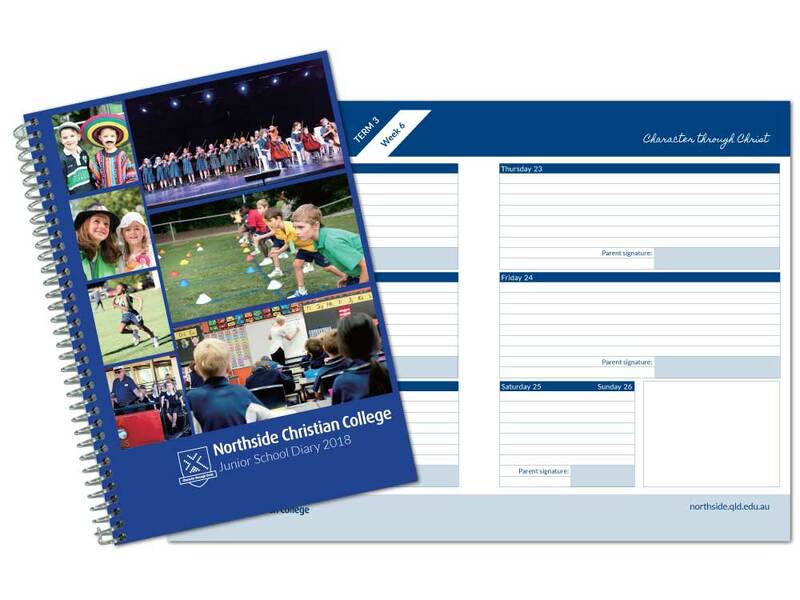 Here is a quick preview of some of the diaries we have recently printed. Some of the designs have been prepared by us and some have been designed by our school and University customers themselves.